I read this article and found it very interesting, thought it might be something for you. 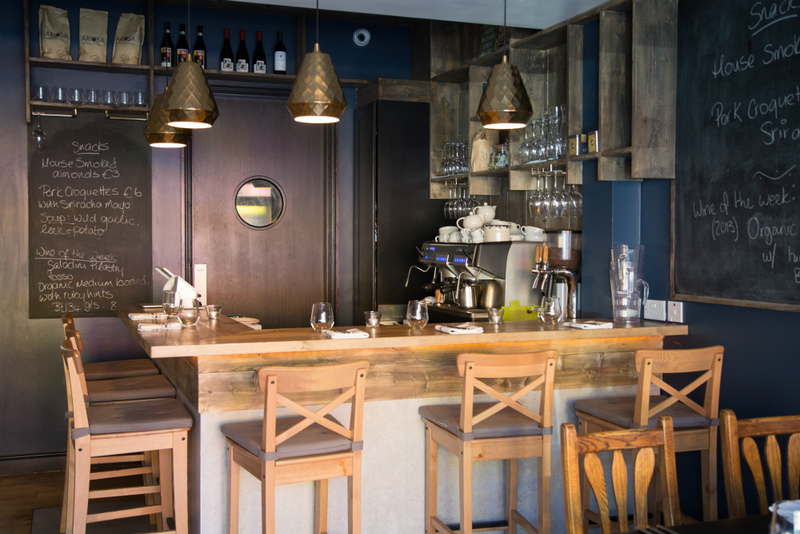 The article is called Restaurant Review: Craft and is located at https://www.totallydublin.ie/food-drink/restaurants/restaurant-review-craft/. I let out a whoop when I read through the menu at Craft, as I get easily settled into its laidback surroundings. A Wicklow wild garlic arancini with spring peas, hazelnuts and parmesan is right up my street. It’s not often you get the pleasure of reading through a menu of familiar ingredients where the chef’s creativity subtly shines through, and this is what strikes me straight away at Craft. Head Chef and owner Philip Yeung practically grew up in restaurants, getting an early insight into the industry through his father’s Chinese restaurant business in Yeung’s hometown of Thurles, Tipperary. When he was college age, he chose the Culinary Arts course in DIT on Cathal Brugha Street. It was while studying that he started work in Town Bar & Grill which is when, he says, he got into serious cooking. When his short placement was finished in 2005, Chef Temple Garner asked him to stay on at Town Bar & Grill. Yeung dropped out of school and stayed with Garner until 2010, working his way up to Head Chef before moving on to reopen Bang with Joe Barrett and Bobby Kerr. “I might go back to college to finish my course some day,” says Yeung. Hence the wild garlic arancini with the spring peas dish (€9) on my visit. Joyously, it lives up to its promise. The arancini, otherwise known as deep-fried risotto balls, are crisp on the outside but melty and oozy on the inside. The wild garlic is well judged, not too over-powering, and the vibrant spring peas and pretty pea shoots make the whole dish a delight. Flame grilled mackerel (€10) looks stunning on the plate, thanks to contemporary strokes of black sesame sauce on the plate, and tastes super, too, thanks to cool cucumber and avocado pairing with the rich and oily mackerel, a spicy radish served alongside it. A Roast John Dory (€25) is a graceful main course. The fish is beautiful. The accompanying broad beans maintain plenty of bite while softened leeks and crab dressing add a sweetness to this light dish. The delectable rump and shoulder of spring lamb (€24) is a heftier main served with contemporary restraint. The portion size is just right for this flavourful plate. Delicious roasties appear on our table as a complementary side to our order of purple sprouting broccoli with a Caesar dressing (€3.50). Dessert wows us. I adore the sticky, flourless texture of the apple cake (€7), made with polenta and served with a buttermilk custard laced with the liqourice tones of tarragon. The dark chocolate bar (€7.50) is a rectangle of shiny, smooth chocolate served with a zingy yuzu (an East Asian citrus fruit) jelly served with peanuts, caramelised slice of banana and a quenelle of salted caramel ice cream. It’s marvellous. Our total bill for two, which included a glass of red and some sparkling water, came to €110.50. It takes talent and contemplation to reinvent familiar ingredients and present them in a simple way that still inspires the eater. Reading through Yeung’s menu gave me aspirations for my own home kitchen. I know I’ve been moved by a menu when I start trying to work out how I can recreate it at home. Luckily for me, and everyone in the surrounding area, Craft change their short menu on almost a weekly basis based on what’s good that week, which means you could have regular revelations of ingredients you might have overlooked. This fine neighbourhood restaurant is a place for people who love food and locals are lucky to have it. Craft is open for lunch from Friday through to Sunday, and dinners are Wednesday to Saturday. 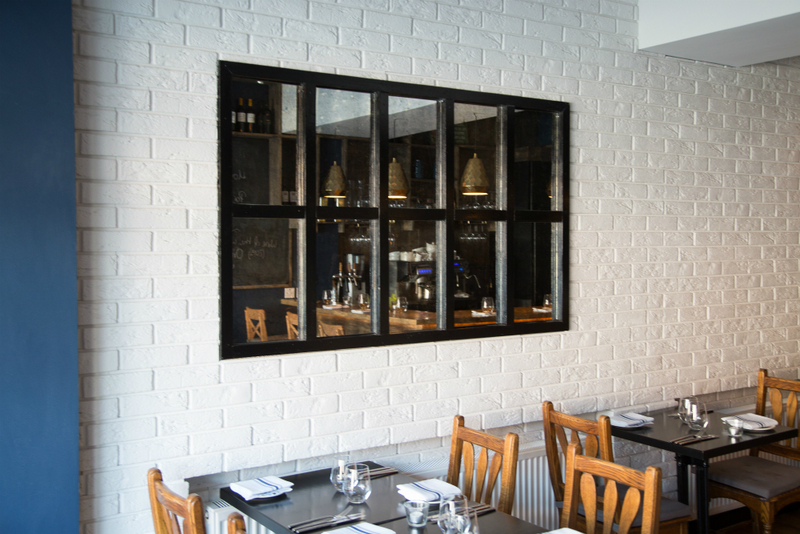 Their Neighbourhood Menu is available as an early bird before 7pm, priced at two courses for €20 and three for €25.